Bill was a servant of God, who lived to bless others with his kindness and generosity. 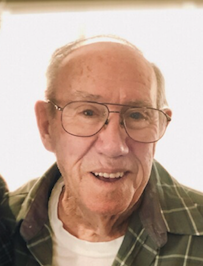 He loved everything about the outdoors, working puzzles, and spending time with family and friends. Bill will always be remembered by the many benefactors left holding the precious memories of his love, encouragement and commitment to his Savior, The Lord Jesus Christ. Funeral services will be held at 1:00 P.M. Tuesday, January 29, 2019 at New Life Fellowship Church in East Glenn with Pastor Jeff Harpole officiating. Burial will take place at 12:00 Noon EST, Wednesday at Georgetown Cemetery in Georgetown, Illinois. The family will accept friends and church family for visitation on Tuesday from 10:00 A.M. until the time of service at the church. Memorial contributions may be made to the New Life Fellowship Children’s Ministry.